Novák Trio - Czech Contemporary Music - Mediální ohlasy - ArcoDiva management - Hudební agentura - Hudební agentura ARCO DIVA Management s.r.o. For whatever reasons, wind trios have never been as fashionable as their piano or string cognates, but for those who have discovered the pleasures to be derived from the unique sonorities, this disc should appeal greatly. Though the four composers are relatively unknown outside the Czech Republic - albeit the odd work of Ilja Hurník's does pop up on recordings here and there - this is sophisticated music that is also really rather tuneful, with little ground yielded to modernism and none at all to vanguardism. 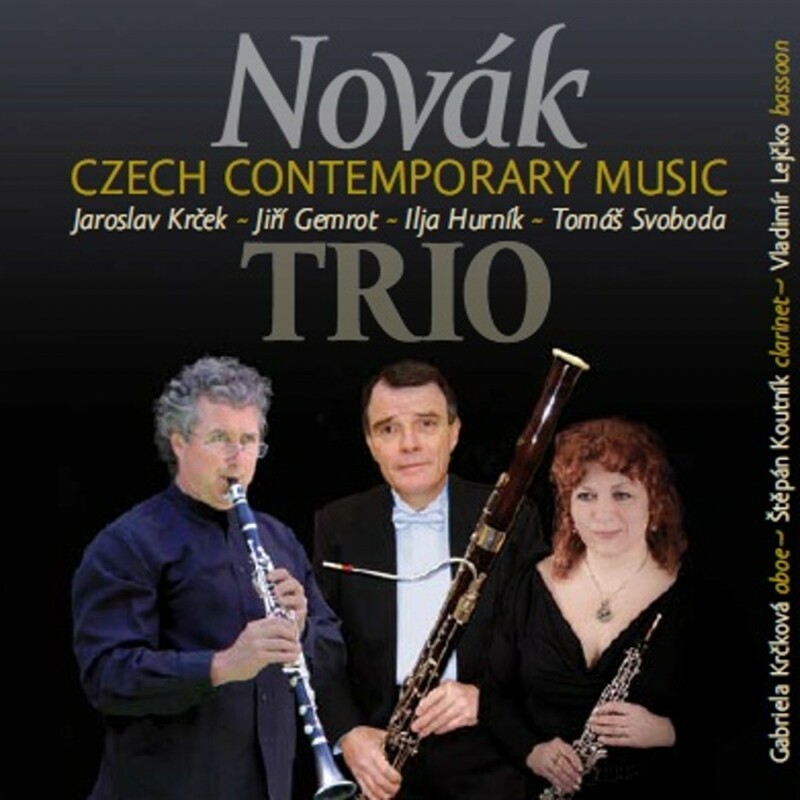 In this short but invigorating recital by the hugely experienced Novák Trio - 2014 will mark an incredible thirty years with the same line-up - Jaroslav Krcek, for reasons not made clear in the notes, gets the lion's share of the spotlight. He is well worth hearing though, as indeed are Gemrot and Hurník: their music is unfailingly elegant, witty and colourful. Krcek's klezmer-influenced Hail, Thou Graceful Music is especially memorable. Some of his other music is available on earlier ArcoDiva releases, notably his Czech-language Oratorio (UP 0144-2131) and the Fifth Symphony (FOK 0002-2031, with Brahms' Third).